Since its establishment in 2001 FastKlean has built an excellent reputation for providing reliable and efficient construction cleaning London. 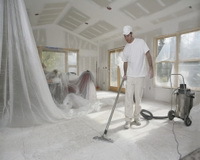 Hire our builders cleaners to visit and clean construction sites during or after the builders work. Whether it’s one house being built or a big project, we have experienced construction cleaners that have worked in partnership with some major construction companies in London. Our cleaning company is also a member of the Building Register. Even when the builders have packed away their tools for the last time, there is still a lot of work to be done before a project can be considered truly complete. While they will do their best to clear out all the dust and debris from the site, they will not complete the builders cleaning as effectively as our highly skilled and experienced cleaners. No matter how big the project, whether it’s one house, a block of flats or a huge commercial building being built from the ground up, our service is especially designed to complete the task to the FastKlean high standard. Our services are tailored to meet all the requirements and deadlines of the client. Our professional cleaners will pay close attention to detail to remove every last speck of dust from every nook and cranny. This is part of our promise to all clients in the construction industry. All our operatives are fully insured and trained in health and safety protocol. We ensure that all our builders cleaners are supplied with the appropriate PPE (Personal Protective Equipment) and high visibility jackets while on the building sites. Risk assessments and method statements specific to each site or contract. Regular health & safety audits. COSHH (Control of Substances Hazardous to Health) assessments. All our clients are assigned an account manager to forward instructions and ensure that the service runs as smoothly as possible. The account manager is available to deal with any issues that may arise. We fully understand that no construction work comes at a low cost, which is why our cleaning rates are very competitive and great value for money – click here. To take advantage of our construction cleaning London all you have to do is call 020 8884 9149 to receive a free quote. Please note that in order to get 10% off your booking you need book after builders cleaning for at least 15 hours of labour.